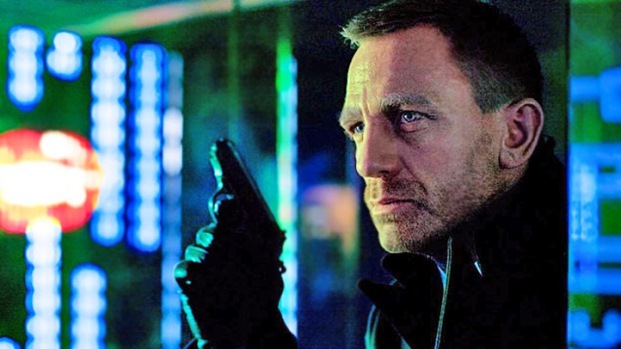 The star and the director revitalize the 007 format one more time. Daniel Craig as James Bond in "Skyfall"
With “Skyfall” already being touted as the James Bond film for anyone who’s ever loved a James Bond film, current 007 Daniel Craig and director Sam Mendes sit down to discuss how how they tried to find ways to freshen up the Bond trappings. With the franchise already invigorated for the 21st Century with Craig’s gritty debut in 2008’s “Casino Royale,” the pair faced a new challenge when crafting Bond's latest adventure: how to subtly pay homage to the five decades of espionage and assignations that paved the way for “Skyfall” without returning to the over-the-top of pastiche that the films previous to Craig had become known for. 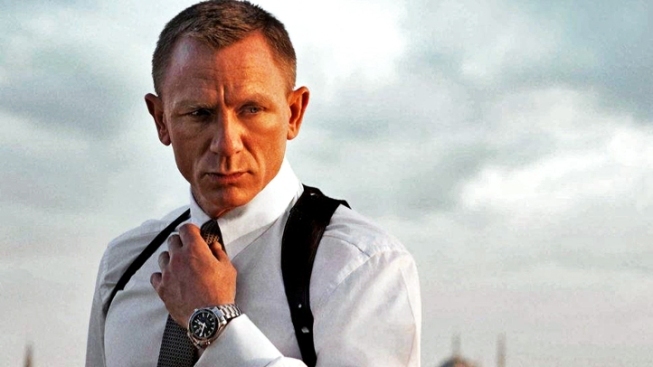 Daniel Craig: The thing is I just felt that given the great opportunity to do ‘Casino Royale,’ which the conceit was that we’re discovering the character, that we couldn’t just cram in the old gags. It would’ve felt wrong and I was not trying to copy anybody who’d come before. They did it so well and I didn’t want to be that person. I wanted to be me in this, but it’s always been a plan. It’s always been somewhere we’ve wanted to get to and to try to put them back into the movie in an original, fresh way was just the only issue and the thing Sam and I spoke at length about, because we wanted to make a Bond movie. Eventually a Bond movie is a Bond movie because of those things. 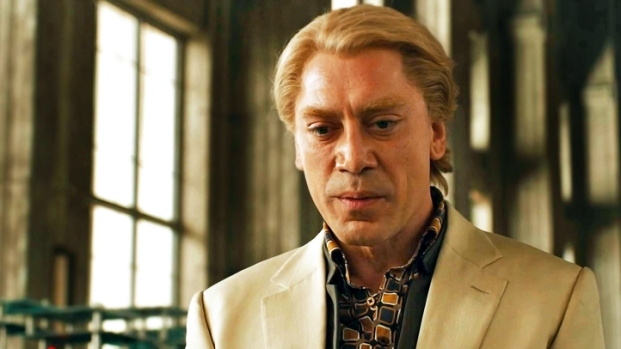 Javier Bardem Is Proud Of "Skyfall"
Javier Bardem chats about his "uncomfortable" hair in "Skyfall." Also, he talks about the long process of developing his character. Plus, does he like playing the villain? Lastly, he says it's a "great honor" to be a part of the James Bond legacy. Sam Mendes: This is really worth saying: we couldn’t have made this movie without ‘Casino Royale.’ What the producers and Martin Campbell did so brilliantly in that film was bring everything back down to sea level and take away pastiche and the assumption that there were going to be those moments. Now we’re able to reintroduce them with a sense of fun and mischief. Daniel can’t say this but he has earned it, actually. He’s earned it by telling those stories again up to this point. Now I think an audience is delighted when they reappear, hopefully. Craig: The thing that stays with me most is not really any particular thing but the fact is walking onto the set with the cast that we had and Sam at the helm and a crew who you did pay good money for, but they were wall there and everybody was excited and enthusiastic about making this film. That enthusiasm was infectious. That really for me is my abiding memory…It was romantic and frustrating. It’s seven months of filming so it’s like making four movies at the same time. There’s a second unit going on, there’s the main unit. We’re shooting action sequences, we’re shooting dialogue sequences, underwater sequences. There’s nothing like it. It’s a real privilege and an honor just to be around that. Daniel Craig returns as James Bond in the latest 007 thriller, in which his place of work and his boss, M (Judi Dench), come under attack. Mendes: I wanted to have a huge challenge and there was no question, they don’t come much bigger than Bond in terms of scale and expectation. I wanted to wake myself up, try something completely new. I also wanted to come back to England to make a movie – I’d never made a move in England, bizarrely, despite the fact that I’m English. And I wanted to work with Daniel and Judi Dench again, who I hadn’t worked with for a while. So all of those things – it just felt like the right thing at the right time. Craig: It was about time she did some work because she normally just sits in an office on the phone shouting at people! No, she’s an extraordinary woman and actress, just wonderful to be with. When Judi walks into the room, she lights the room up. It’s incredible: she’s got such an energy about life and she loves doing what she does. I’ve been a fan of her all my life so to get the chance to work with her and play with her, because that’s what she likes doing. She likes playing on set. She takes her job very, very seriously but laughs all the time. Craig: To me it’s a very easy answer. It’s retaining what it always had. It’s making movies for the audience, putting it all on the screen and this family [producers and half-siblings Barbara Broccili and Michael G. Wilson] is the reason for it…I get a huge kick out of doing this, and I can see doing another film. The whole point of this is they take such a chunk out of your life. I’m contracted to two, by the way, which is fairly common. Mendes: You watch these little mini documentaries about the making of the movies and sometimes, even though you’ve been involved in them yourself, you learn some things, actually. There was an interview with Michael and he said ‘The old adage “If it ain’t broke, don’t fix it” is a recipe for disaster.” I thought he was going to say ‘”If it ain’t broke, don’t fix it” is true.’ The truth is he’s right, but it takes a hell of a courageous person – or two people – to know that actually what you’ve got to do is keep changing it and not making it the same. I think that has been ultimately the reason it’s regenerated so brilliantly: taking the risk on somebody like Daniel, taking the risk to take away everything in order to rebuild it and that’s why it endures – because it’s not the same. Every Bond is different and every generation needs a different Bond, and it’s been able to move with the times. Now it’s hopefully set up, we’d like to think, for another 50 years and to a whole other generation of people.